Ghada joined Generations For Peace in November, 2018. In her role as Communications Director, she is responsible for leading the Communications Team and developing its strategy to create proactive, innovative, and compelling communication and engagement efforts, sharing compelling stories across an array of channels with our volunteers, donors, and partners to inform, motivate, inspire, and call to action. 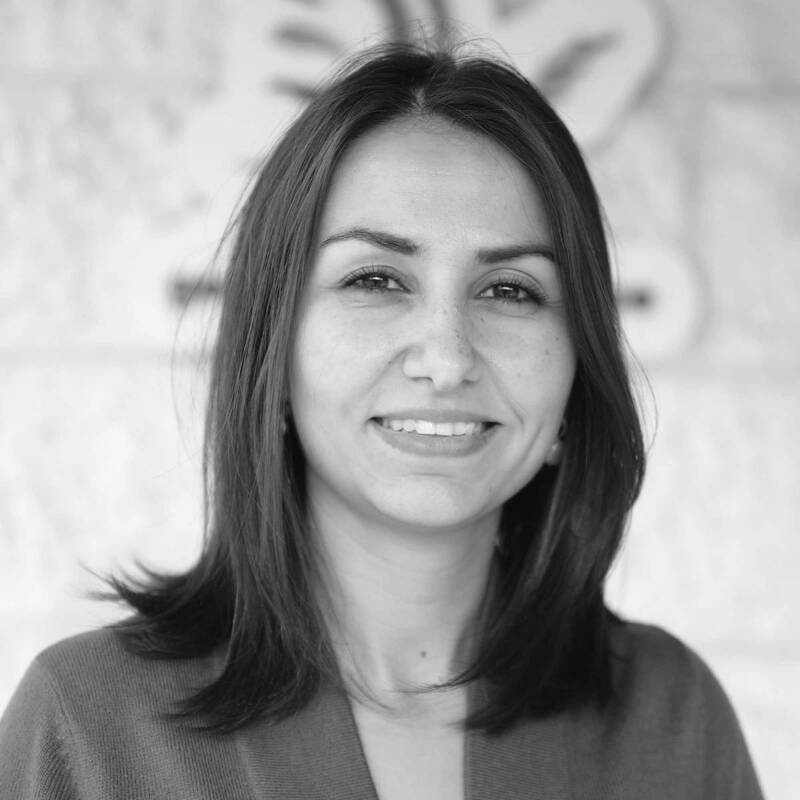 Ghada is Jordanian, originally from Hebron and graduated from Yarmouk University in Irbid with a degree in Graphic Design. As her career has developed, she has expanded her communications experience to include content marketing, media engagement, and communications management for a variety of NGOs and donor-funded projects, including RTI, IREX, Global Communities, and Chemonics. In each of these positions, she has worked in and overseen communications efforts surrounding diverse topics and issues, including early education, community microfinance projects, social media and social action for good governance, youth engagement, combating exploitative child labour through education, and development through tourism. Ghada also boasts an extensive background in media: she began as a news editor for a local Jordanian television station in 2007, eventually leading her to roles in front of the camera. In addition to her work at Generations For Peace, Ghada is currently a news presenter and Nabd Al-Balad television programme host on Ro’ya TV, where she covers news and stories from Jordan and around the Middle East. When she is not in the office, you might find Ghada spending time with her family and friends, embracing quiet moments over a cup of coffee in a shop or park, or even imitating cartoon characters – a unique talent she shares on special occasions.